Back in the day most pickup trucks equipped for towing sported an extended and often chromed 2-level side, rear view mirror assembly. Many of today’s new and slightly used pickup trucks come standard equipped with a pull out mirror mount extension for trailer towing, yet many don't. 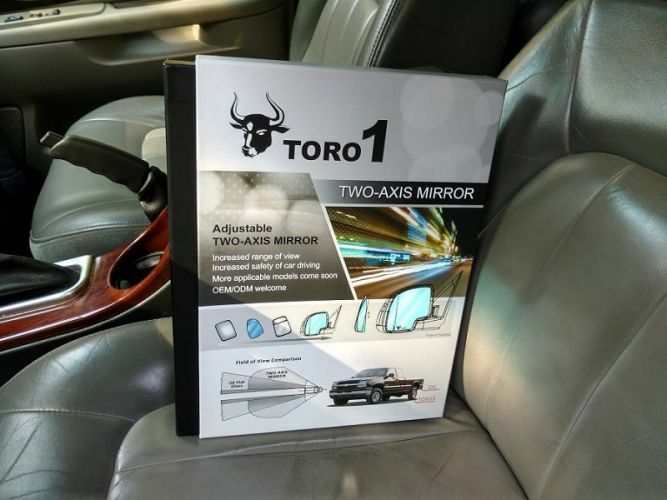 Torque News discovered a company that makes mirror modification easy, while adding an element of much improved safety to your vehicle. View Assist LLC of Myrtle Beach, S.C. presents an affordable replacement truck or SUV mirror that enables a vastly improved backup and towing field of vision without electronics. So, what is a two-axis mirror? Looking to the photo above, what you're viewing in the main mirror is a the field of vision directly to the side and behind the vehicle. In the outside, adjustable convex mirror, we see the pavement to the rear and below the field of vision. The expanded field of vision is invaluable when backing out a driveway or towing a trailer.. 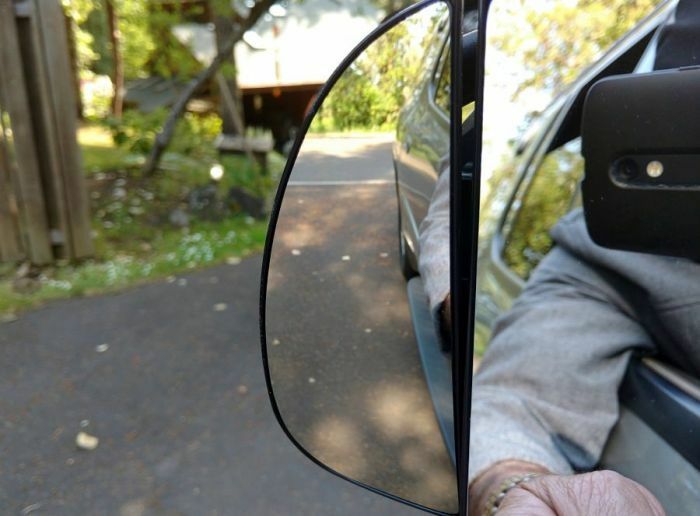 I actually prefer the two-axis mirror to an automated mirror downturn when backing out of the driveway. Also, the angle of view trajectory is infinitely adjustable. Available in a growing selection of light truck applications, Myrtle Beach based View Assist LLC markets a very attractive and easily installed Two-Axis mirror that can be easily installed in minutes without modification. The Spotter Mirror is packaged beautifully, comprehensive, and offers an easy solution for replacing your worn O.E.M. side mirror. The product and packaging is quality throughout, including a form fitted jewelry case-like slide-out-box, instructions and clip-wiring connections. Our replacement mirror came with easy to install instructions, and installation was completed in minutes. Check View Assist's company website for available product and pricing information here. Test mirror provided by View Assist LLC, photo by Parks McCants 2018.